When it comes to maintaining a luxury SUV like the BMW X6, the symbols and lights on its dashboard are absolutely crucial. Without them, how would you necessarily know that there’s an issue? We don’t think you would. That’s why our BMW of Westchester team created this comprehensive guide for you. If live around Hartsdale, Yonkers, or any of the surrounding Westchester County communities, then we encourage you to get in touch with us to schedule a service appointment or ask any questions. Thanks! Of course, there are plenty of commonplace operational lights, such as your turn signals, your parking brake, your front fog lamps, your high beams, your high-beam assistant, your active cruise control, etc. Airbag System: The airbag system light looks like a passenger covered by an airbag. It means that your airbags (or belt tensioners) have failed, and you need to get your system checked right away. Battery Warning: If the battery sign flicks on (which literally looks like a battery, complete with positive-negative symbols and all), there’s a serious issue with your charging system. Contact us. 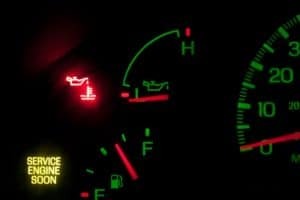 Check Engine Light: This warning (which resembles an engine), means that aspects of the engine have misfired. This can cause serious problems with the emissions control system, so you’ll want to pull over to a safe spot, cease driving, and get in touch with a professional as soon as you can. Ok? Oil Level Low: When your engine oil is low, its parts aren’t properly lubricated. As you can imagine, in a complex machine that has thousands upon thousands of moving parts, this is a problem that can’t be ignored. Make sure that you either change your oil or set up one of our oil change services ASAP. If you’re noticing any of these—or any that we didn’t mention, for that matter—reach out to us today. 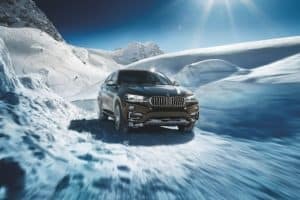 Our team of expert automotive technicians has years of experience servicing BMW X6 SUVs around New York, especially Westchester County, Yonkers, Hartsdale, etc. If you’re into courteous and efficient auto service, then we urge you to set up an appointment at our service center today. 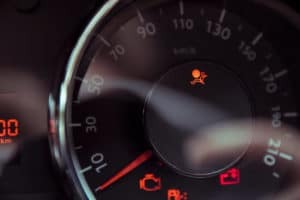 Simply call us, drop us a line on our website, or stop by today and let us know which dashboard warning symbols have turned on.